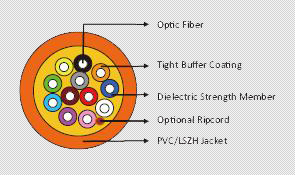 The Distribution Cable consists of color-coded PVC tight buffered ﬁ bers. The ﬁ bers are reinforced with aramid yarn for superior strength and contains no metallic elements. 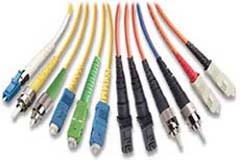 The ﬁ bers are jacketed with Flame Retardant PVC or LSZH compound. Copyright ©1995, ATL Technology Ltd. All rights are reserved.